With multichannel data it is easy to report on multiple channels at once. For instance about the total costs of all campaigns and total revenue generated across all the channels. Its' easy to configure your data in the ControlCenter. 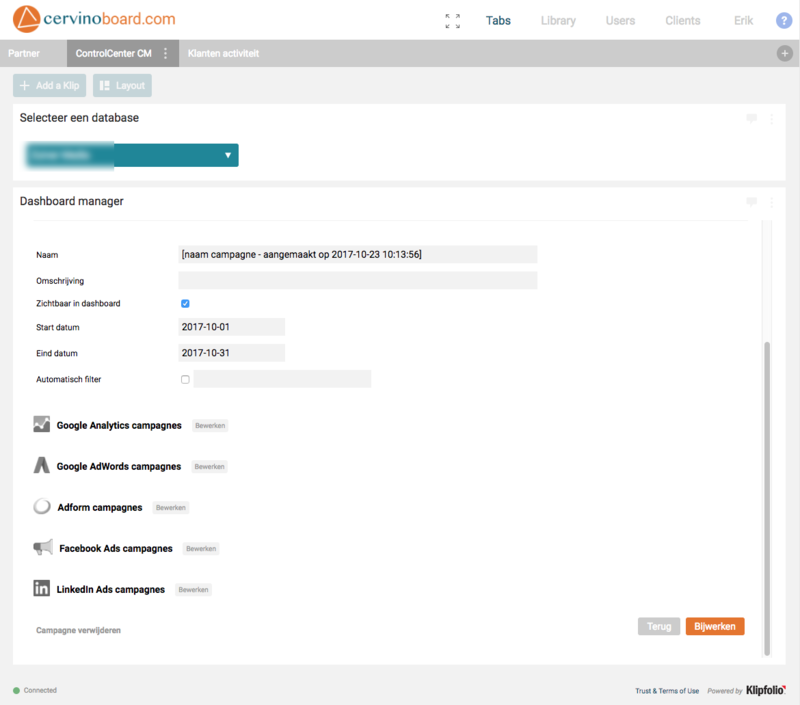 Please contact us if you wish to enable multichannel for cervinoboard or cervinodata. 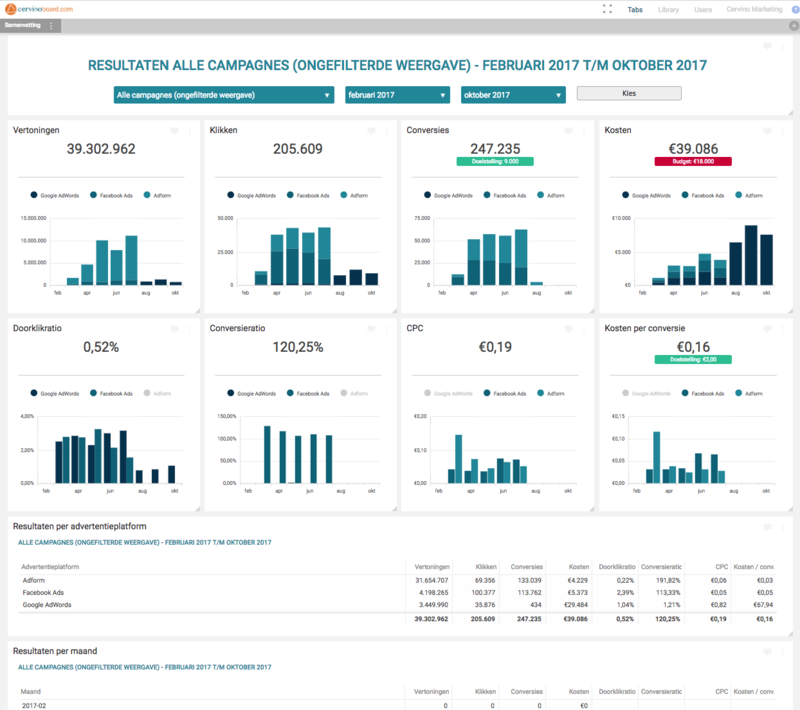 And check out the live and interactive demo of the multi-channel advertising dashboard here. Data storage. We save all your data in our secure servers, so we can combine data into one data set. Campaign grouping. This function allows you to select multiple campaigns from more than one channel. Google Analytics connection. 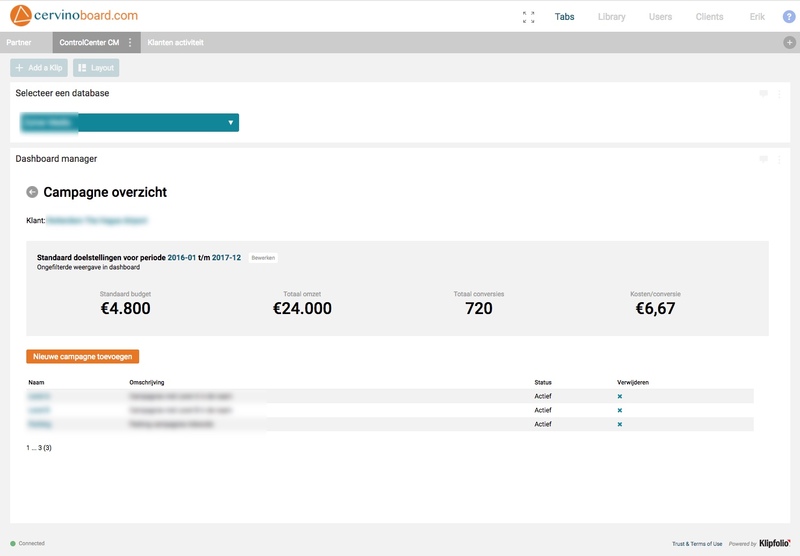 With UTM campaign names, the ControlCenter allows you to filter only the revenue and transactions you need. Targets & Benchmarks. 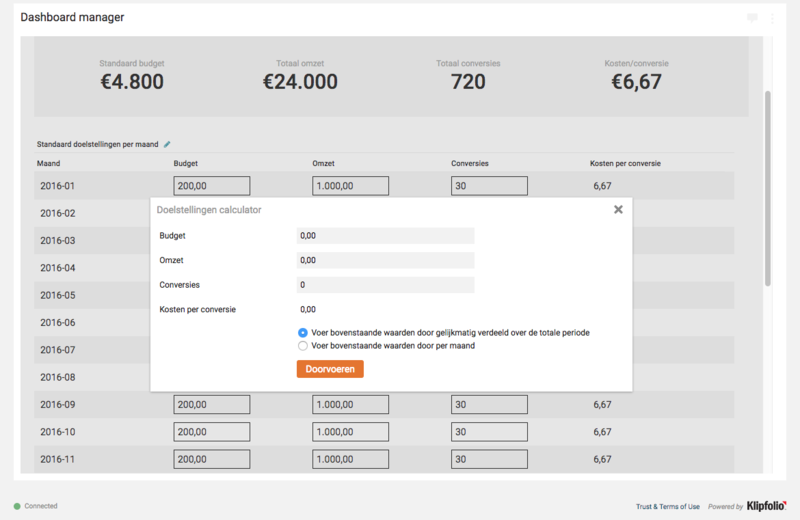 Add a benchmark or target to the dataset to compare your budget to your actuals. And to compare your targets to your performance. Multiple accounts. We allow you to combine multiple (Adwords) accounts into one data set so you can easily compare account performance in your dashboard. Clients that have multichannel enabled in ControlCenter, its easy to create a new campaign. Just click "Nieuwe campagne toevoegen". Provide your campaign with the appropriate name and add a start-date and end-date. Then choose which channels you with to add to your multichannel campaign. If needed, you can combine multiple accounts. Also, for convenience, you can set up an automatic filter ("automatisch filter") to make sure all your campaigns (with the filter name) are added to the multichannel campaign data set. For each channel, you can determine exactly with campaign needs to be added to the multichannel campaign. It's also possible to filter specific Google Analytics UTM campaign names (and transactions and revenue) to add to your data set. If you wish, you can insert targets or benchmark metrics to your multichannel campaigns to compare your actuals with your budget/target. We've added a simple to use calculation tool to split a total budget evenly across the months or auto-fill each month with the same value. In case you have any further questions.